The owners and Maria were very careful and helpful for every need ! Very nice location with super pool and super view!! Thank you Sophia and Maria for a very nice Holiday ! The villa was incredible and so clean. The views were spectacular. The manager Maria was amazing, very kind and thoughtful. Had the best ever time. Antigone the resident manager is a crucial person to making this complex operate and make guests feel comfortable and at home. She is very attentive and responsive so whilst there were issues at the start she made sure they were resolved to the best of her abilities. The second property we had was perfect, the staff and facilities were also of a high standard. The 110 m2 villa with private pool is spacious, very clean, decorated with excellent taste. The kitchen is fully equipped with all that someone needs. The patio and swimming pool with spectacular views to the coast offer many relaxing moments. The crystal waters of Agia Paraskevi beach are just 2-3 mins of pleasant walk down the slope with lifts to facilitate the ascent. The resort's manager Mrs Antigoni, is extremely professional and very friendly, always available to help, answer questions, inform and give tips to the customer. We had an excellent stay. The villa and the Agia Paraskevi beach was so attractive that we moved much less around than we initially planned. Really good value for money ! Located on the beach,modern, bright, excelent service (Antigoni was perfect host, allways ready to help). Beautiful nature, great garden. Villa with private pool was fantastic. The view amazing. Highly recommended for people who search for calm, private, luxury vacation. We even received presents during and at the end of our stay! The apartment is with beautiful view, clean and equipped with all that is needed. The complex is managed by Antigona and Sam that take care of every detail and answer to any question and request with a smile. The beach near the appartment is amazing with few taverns and Caffé's. A greate place for a vacation. The property was very well located. The staff extremely helpful and professional. The beach was clean and nature fantastic. The villa is great, comfortable, decorated with lots of style and had all the necessities that one family needs on a holiday. The beds were more than comfortable, the pillows could be better, but even the sofa in the living room was surprisingly comfortable! The cutlery and dining plates are of great quality, I like when someone pays attention to the details. The view is gorgeous, overlooking the sea full of boats, incredible! The staff was more than kind, always there to help, and make our holiday unforgettable. Kind regards to Miss Antigone, the general manager, she really made us feel at home, the gift basket is a very nice addition to an overall great experience. And I could not finish my review without saying that all the people in Syvota are beyond kind-hearted, always smiling and taking care that the tourists feel more than welcome! An excellent resort by the sea and in the close proximity of several awesome beaches in the Sivota area! The view from the balcony is amazing (as are the neatly maintained gardens)! The room was "super-clean", spacious, very well furnitured and decorated, and also had a fully equipped kitchen! The staff is extremely helpful and friendly (responded immediately to our requests)! A nice an quiet place to rest, relax and enjoy the beauty of Greek nature! We are definitely coming back!!! Lock in a great price for Sivota Seascape – rated 9.7 by recent guests! 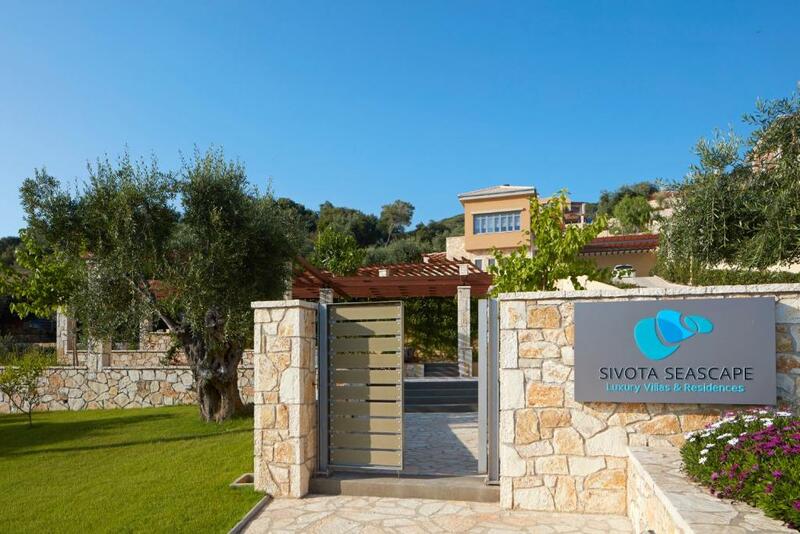 Sivota Seascape This rating is a reflection of how the property compares to the industry standard when it comes to price, facilities and services available. It's based on a self-evaluation by the property. Use this rating to help choose your stay! One of our top picks in Syvota – and a guest favorite. Surrounded by blossomed gardens, in Agia Paraskevi Beach, Sivota Seascape offers modern, self-catering units with free WiFi access and sea or garden views. Free private parking is available on site. The village of Syvota is 3.1 mi away. The elegantly decorated units are air-conditioned and feature a seating area. There is also a kitchen, equipped with an oven, fridge and espresso coffee machine. There is a private bathroom with shower in each unit. 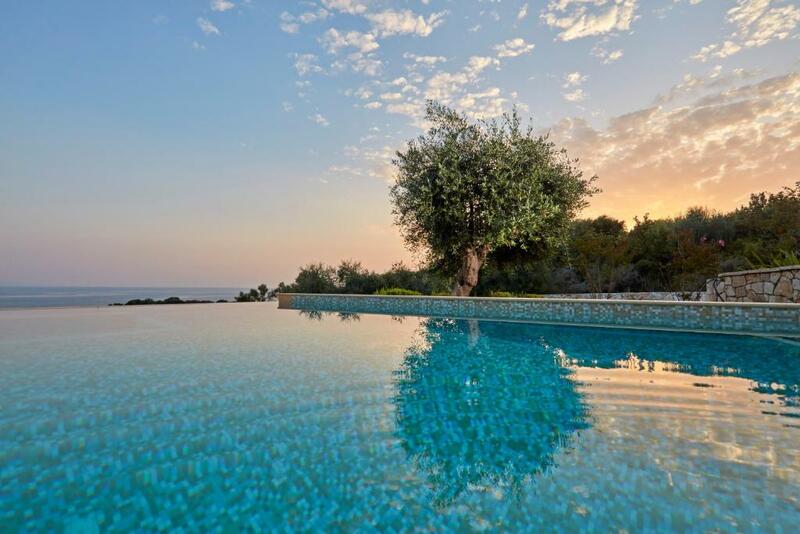 Some villas offer private swimming pools with a furnished sun terrace overlooking the Ionian Sea. The property also offers grocery delivery. Parga Town is 9.9 mi from Sivota Seascape. The nearest airport is Ioannis Kapodistrias Airport, 24 mi from Sivota Seascape. When would you like to stay at Sivota Seascape? This villa is split in 2 levels; On the upper floor there are 2 spacious bedrooms, and on the ground floor a living area and a fully equipped kitchen. Outside there is a private swimming pool with sun beds and a dining area. This villa features a bedroom with a king size double bed that opens up to a private terrace and a private pool with a stunning sea view, a fully equipped kitchen and a comfortable living room with a big sofa. This spacious residence has a fully equipped kitchen and a private balcony overlooking the Ionian Sea. This family suite has a separate bedroom, an open-plan bedroom and a living room with a fully equipped kitchen. This villa with uninterrupted view has a large extended sun deck around the spacious pool. It includes 3 bedrooms, 2 bathrooms, and a fully equipped kitchen with living and seating area. A truly stylish and comfortable residence that features a double bed a fully equipped kitchen with dining area and a big living room with partial sea view. I would be glad to assisting you for anything in addition you might need! Syvota (Moyrtos) is a coastal village where the green landscape is embraced by the unique blue of the Ionian Sea. The area is surrounded by the isles of Agios Nikolaos and Mavro Oros. Syvota can constitute a starting point for a trip in the Historical and natural monuments of Epirus.Syvota is a pole attraction for the visitors from all over the world. It is gifted by the nature and it can be unforgettable to everyone. The marinas of Syvota and Plataria have the potentiality to accommodate small crafts, contributing even more to the area development. In addition, one can visit the villages of Faskomilia, Argyrotopos and Polyneri, in the rock of which there exists an ancient castle, a Byzantine acropolis and an unexplored cavern with beautiful stalactites. House Rules Sivota Seascape takes special requests – add in the next step! Sivota Seascape accepts these cards and reserves the right to temporarily hold an amount prior to arrival. we loved everything in Sivota Seascape . first it is nested by a gorgeous bay with an easy access to a beautiful beach, we enjoyed swimming and snorkeling in the crisp clear waters. second, the residence are fully equipped with all you want when staying home away from home, everything is thought to the smallest details, the design gave us a cozy feeling from the first minute we entered, the unit was shiny clean, soft comfy linens, the view was stunning at all times , we had such a perfect anniversary celebration ,we actually didn't want to leave... third , yet most important - Antigone Stamouli the Hotel Manager, who speaks fluent English, was taking care of an issue we had, in the most elegant , sensitive, inelegance way , reassuring at all times that we are in the best hands. we were so happy to stay at Sivota Seascape ,highly recommend this beautiful hotel to anyone who looks for a perfect relaxing vacation. we are looking forward for our next visit at this gorgeous safe heaven . Continuous pump noise from neighbouring complex did affect us a lot but this was outside of Antigones control. Also we booked a 3 bed villa but only given access to 2 bedrooms this was not good as we could allow our guest to stay over. 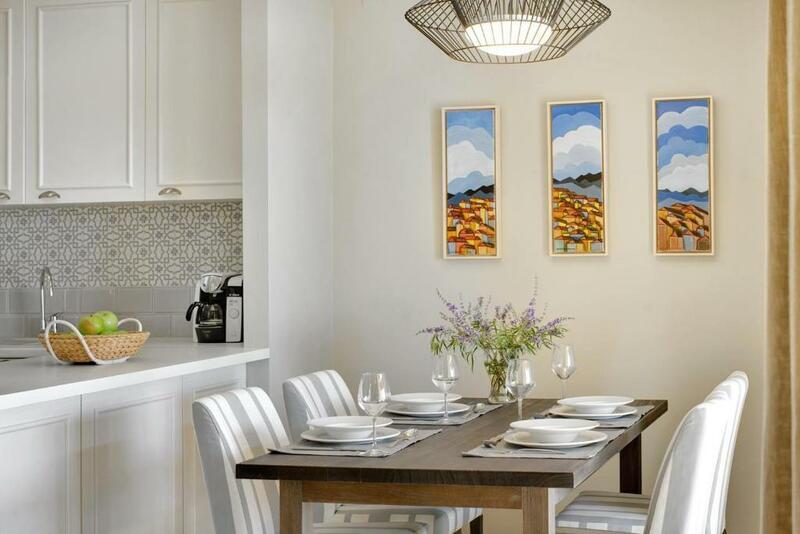 We specifically booked these villas as they could sleep up to 6. It would be convenient to have a mini market in Agia Paraskevi beach. The closest one is at Sivota, 8 mins drive away. Construction works nearby. In August beach could be crowded but you can enjoy it in the morning or evening when is getting quiet. Solar pannels are not allways the best solution for heating the water for the shower. The driveway to the villa is not paved,should be better maintained,because it is the first thing one sees upon arrival.